Asiad Steels is one of the well-known manufacturers, exporters and suppliers of Hastelloy C276 Nuts, which has outstanding resistance to hydrochloric acid at all concentrations and temperatures. Hastelloy C276 Hex Nuts has excellent resistance to oxidizing aqueous media including wet chlorine and mixtures containing nitric acid or oxidizing acids with chloride ions. This Hastelloy C276 Heavy Hex Nuts is available in different shape size and thickness according to the needs of our customer. Hastelloy C276 Lock Nuts is resistant to the formation of grain boundary precipitates in the weld heat-affected zone, thus making it suitable for most chemical process applications in an as welded condition. The low carbon content in Hastelloy C276 Self Locking Nuts minimizes carbide precipitation during welding to maintain corrosion resistance in as-welded structures. 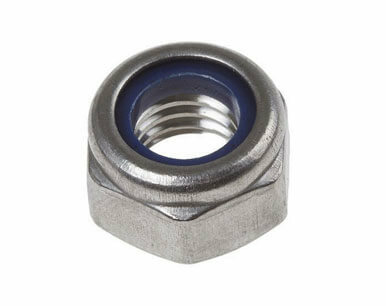 Hastelloy C276 Nylon Insert Nuts is known as the most universally corrosion resistant material available today. All of the common methods of welding can be used to weld Hastelloy C276 Coupler Nuts, although the oxyacetylene and submerged are processes are not recommended when the fabricated item is intended for use in corrosion service. Because of its highly resistive nature, Alloy C276 Heavy Hex Nuts can be used in environment. Typical chemical process industry (CPI) applications of Alloy C276 Lock Nuts include reactors, heat exchangers, and columns. Alloy C276 Self Locking Nuts should be noted that because of such versatility of Hastelloy C-22, it can be used where “upset” conditions are likely to occur or in multi-purpose plants. 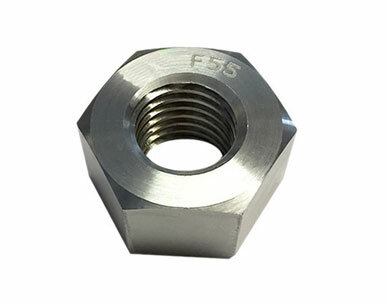 Buy Alloy C276 Nuts atreasonable rates from us. We are Exporter of Hastelloy C276 Nuts in Worldwide Such as India, Lebanon, Mongolia, Afghanistan, Romania, Hong Kong, South Korea, United Arab Emirates, Ghana, Tibet, Saudi Arabia, Ireland, Ecuador, Serbia, Croatia, Angola, Canada, Puerto Rico, Mexico, Hungary, Greece, Israel, Chile, Austria, Venezuela, Bolivia, Pakistan, Zimbabwe, Bulgaria, Kenya, Sri Lanka, Slovakia, Namibia, Algeria, United States, United Kingdom, Japan, India, Iran, Nigeria, Chile, Ukraine, Taiwan, Gambia, Yemen, Vietnam, Estonia, Qatar, Malaysia, Poland, Morocco, Brazil, Lithuania, Belarus, Kazakhstan, Australia, Argentina, Macau, Trinidad & Tobago,Tunisia, Finland, Switzerland, Portugal, Bahrain, Germany, Spain, Thailand, Mexico, Egypt, Gabon, New Zealand, Colombia, France, Philippines, Norway, Iraq, Bhutan, Libya, Italy, Indonesia, Singapore, Turkey, Bangladesh, South Africa, Nigeria, Kuwait, Oman, Denmark, Nepal, Peru, Netherlands, Sweden, China, Poland, Jordan, Czech Republic, Azerbaijan, Belgium, Costa Rica, Iran, Russia. 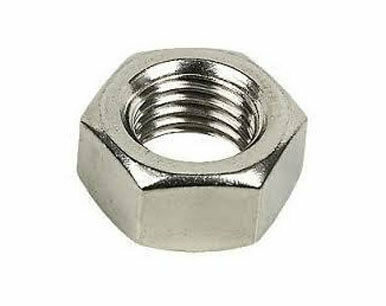 We are Suppliers of Hastelloy Alloy C276 Nut in India Such as Mumbai, Granada, Hanoi, Sharjah, Riyadh, Nashik, Kanpur, Secunderabad, Brisbane, Montreal, Ludhiana, Doha, Al Jubail, Thane, Hyderabad, Faridabad, Milan, Kuala Lumpur, London, Gurgaon, Noida, Manama, Dammam, Colombo, Jakarta, Gimhae-si, Jeddah, Singapore, Kolkata, Ahmedabad, Vung Tau, Sydney, Baroda, Ankara, Chennai, Calgary, Al Khobar, Abu Dhabi, Chandigarh, Tehran, Geoje-si, Edmonton, Madrid, Caracas, Bogota, Lagos, Santiago, Rajkot, Melbourne, Atyrau, Dubai, Houston, New Delhi, Petaling Jaya, Nagpur, Courbevoie, Navi Mumbai, Rio de Janeiro, Ranchi, Toronto, Mexico City, Perth, Haryana, Istanbul, Indore, Bhopal, Bangkok, Hong Kong, Aberdeen, Cairo, Jaipur, Port-of-Spain, Pune, Vadodara, Mumbai, Coimbatore, Howrah, Surat, Busan, Dallas, Lahore, Moscow, Ernakulam, Kuwait City, La Victoria, Ahvaz, Los Angeles, Jamshedpur, Ho Chi Minh City, Thiruvananthapuram, New York, Chiyoda, Visakhapatnam, Bengaluru, Pimpri-Chinchwad, Muscat, Algiers, Seoul, Ulsan, Karachi.